On Aug. 20, 1897, a British officer in the Indian Medical Service made the discovery that female Anopheles mosquitoes could pick up malarial parasites from infected human patients and transmit them to other humans. That discovery confirmed a scientific hypothesis that "mosquitoes are connected with the propagation of the disease," and, five years later, earned Dr. Ronald Ross the Nobel Prize for Medicine. World Mosquito Day celebrates Sir Ross' breakthrough confirmation from 121 years ago. But while his work gave us a better understanding of how malaria is transmitted and was a critical first step in fighting it, malaria has remained one of the deadliest diseases on the planet, which as recently as the first half of the 20th Century was responsible for 2 million deaths per year. And though malaria deaths have dropped from 839,000 in 2000 to 438,000 in 2015 (a reduction of 48%), the disease is still responsible for more than 212 million cases annually, and more than 400,000 deaths a year. More than 90% of those cases occur in sub-Saharan Africa, as do 92% of the fatalities. The two locales that play a central role in the Moving Giants elephant-translocation project -- Venetia Limpopo Nature Reserve in South Africa and Zinave National Park in Mozambique -- are both in malarial zones. South Africa is mostly free of malaria but there were still 174 reported malarial deaths in in the country in 2014. 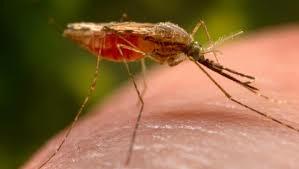 And malaria is a risk throughout Mozambique, even in urban areas. There were six million reported cases in Mozambique in 2015, leading to 3,245 reported malarial deaths, making malaria the second-leading cause of death in the country, and making Mozambique one of the 10 deadliest countries for malaria on the planet. That's why social-awareness days such as #WorldMosquitoDay are so important -- to make sure sufficient support is given to endeavors like the fight to end malaria.